Yesterday we started talking about Scribblenauts Unmasked, a DC comics version of the hit puzzle game Scribblenauts. One of the big hype points of the game is the sheer number of DC characters that are said to be included. A claim like that ensured the first thing I would do when I got the game would be to throw some strange and obscure characters just to see if they are included. We already covered the first five characters yesterday and today we’re going to cover five more. When the game comes out later this month I’ll post all the results and include some screen shots of the Scribblenaut version for each of the characters that made it into the game. DC’s 1997 answer to Marvel’s Punisher is one of my favorite comic characters. Much like the “Dark Flash” from yesterday, Wild Dog’s identity was kept from the readers. His first mini-series followed a few potential people that Wild Dog could be and in the end revealed him to be ex-Marine Jack Wheeler. 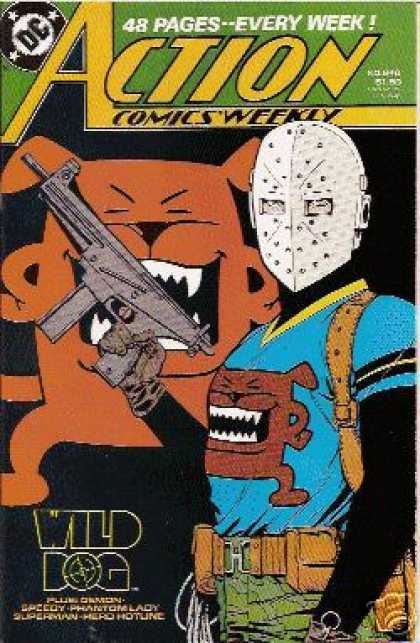 After his four issue series Wild Dog was part of Action Comics Weekly. After that he’s been used incredibly sparingly. He had a cameo in Infinite Crisis and in an issue of Booster Gold after that he’s been mostly forgotten. I had to dive into my own backlog of posts for this one because I was sure that I had already written about J.A.K.E. ; I was wrong. There have been a number of characters named G.I. 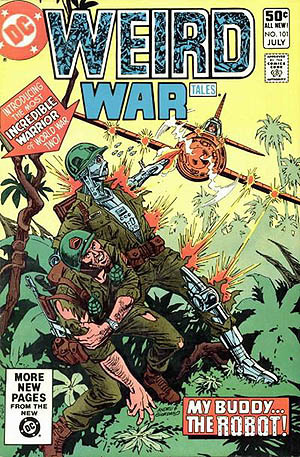 Robot, Joe and Mac appeared in Weird War Tales in 1962 and 1966. When most people here the name they think of J.A.K.E. 1 and J.A.K.E. 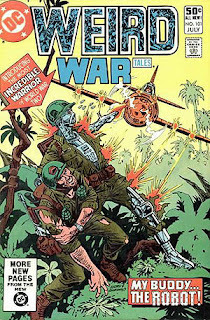 2 who showed up in Weird War Tales in 1981 and 1982. Jakes’s big power seems to be sacrificing himself for others. Expect a full write up on J.A.K.E. 2’s first appearance, it’s a book I picked off the spinner rack as a kid and it is amazing. Simon debuted in his own mini-series in 2007. The dark book took place in a side of Gotham that most had never seen before. 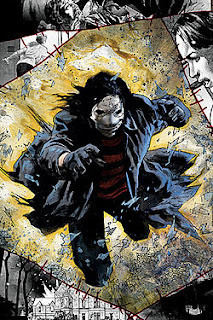 Created by Steve Niles and Scott Hampton Simon the character was actually stitched together with science and magic. Things for Simon get very, very weird. The big question about his inclusion in Scribblenauts will be if he is wholly owned by DC or partially creator owned. Either way it’d be great to see Simon included. I had to go silly at some point didn’t I? 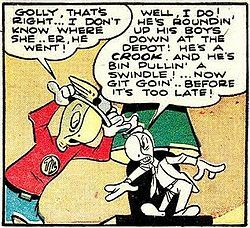 The Terrific Whatzit is a character that debuted way back in 1944. This funny animal version of the Golden Age Flash is a turtle who removes his shell when he dons his costume. Without his shell no one can tell what kind of animal he is, so everyone calls him a Whatzit. I’d say his chances are pretty slim to actually make the game. They may surprise me though and include characters like the Zoo Crew. Scribblenauts Unmasked will forever be my favorite game if they include this one. Probert was introduced in a 1994 issue of Green Lantern Corps Quarterly. He is based off of the hockey player Bob Probert. Probert is a bounty hunter that was offered a power ring to bring in another Lantern that has gone rogue. Probert refused to wear a ring and set off on his own. Eventually he internalized the ring’s power and took down the other Lantern. He made a few appearances in Guy Gardner: Warrior but hasn’t been seen since then. Anima, Gunfire, the Prez, Jerry Lewis, Brother Power and House of Mystery or on my list.